KPIT (BSE:532400, NSE: KPIT) is a global technology company specializing in providing IT Consulting and Product Engineering solutions and services to Automotive, Manufacturing, Energy & Utilities and Life Sciences companies. Together with its customers and partners, it creates and delivers technologies to enable creating a cleaner, greener, and more intelligent world that is sustainable and efficient. Disruptions in the global automotive industry: Solutions from India? Some Indus Valley Civilization experts suggest that the reason the Harappans laid great emphasis on establishing a highly evolved urban planning system was to ensure that its inhabitants ‘kept the peace’. Providing a good water supply along with a foolproof sewer and drainage system ensured that the ancient city’s inhabitants ‘kept out of fights’ over the distribution of basic amenities. While history shows that mankind had recognized the need for sound urban planning 4000 years ago, it had not faced the challenge which it is confronted with today – the rapid pace of urbanization. Cities are the engines of economic growth. By some estimates, in the last decade alone, more people have moved to cities than they have in the last ten centuries! The Government of India’s policy think-tank, the National Institution for Transforming India (Niti Aayog), predicted that the urbanization rate in India would increase to over 60% in the next 30 years, assuming the rate of economic growth at 7-9%. This indicates the scale of the challenge at hand. How can any authority possibly keep up with the ever-increasing demand on its finite resources for clean drinking water, assured electricity, affordable housing, inexpensive smart transportation, access to clean toilets, and good governance to more and more people? The way forward for cities is to be resilient and adaptable. Every city must ensure a better quality of life for citizens by smartly adopting technology on all fronts: from its services and governance mechanisms to its interactions with citizens. World over, cities have realized this, and hence the impetus for smart cities. Does this provide an opportunity for India? Yes, it does. Firstly, India itself is in the throes of rapid urbanization and its cities are poised to become big consumers of technology. This would mean greater opportunities for companies to develop products and solutions in India—for India, and then take it to the world. Secondly, the country has an excellent ecosystem in place, including a large base of technology and manufacturing companies, great startup movement, government R&D labs, world class academia, a sizeable workforce, and growing smartphone penetration. This will help the country develop technology solutions that can address issues of scale and cost—the two major challenges faced by cities globally. Thirdly, India has built a brand as the world’s capital for Information Technology, which it can leverage in large measure. Many cities around the globe have successfully transformed into smart cities through the adoption of technology traversing areas such as transportation, energy, water management, environment, governance, public safety, housing, education, healthcare amongst others. While the technology blueprint of such cities could be referred for guidelines and as indicators, the learnings cannot be applied as-is in the Indian context. From contrasting demographics to the state of infrastructure, there are many differences that make every city unique. Therefore, in the journey towards becoming smart, each will require a distinct approach. 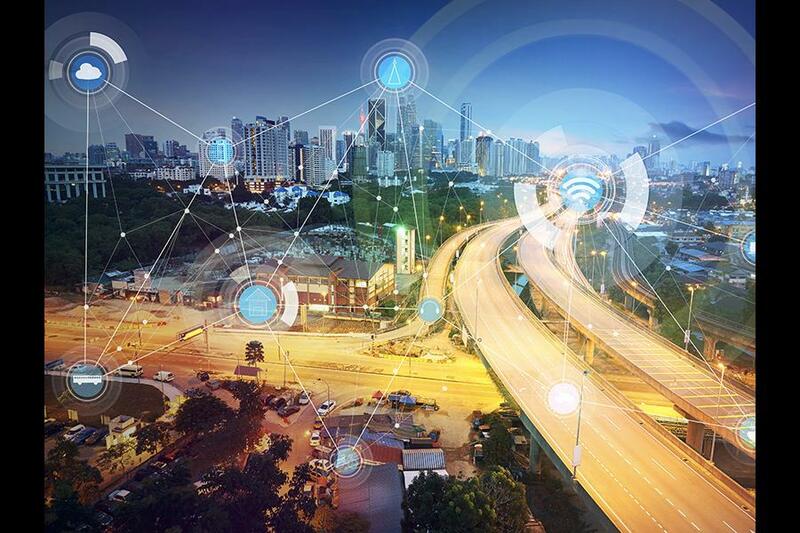 A smart city requires seamlessly interconnected systems that can be retrofitted over the existing infrastructure. Such systems need to offer real-time actionable data and analytics to its stakeholders, i.e., both the administrators and the citizens, in an integrated manner. More importantly, city authorities can use technology to aggregate data collected, analyse it for future trends, predict possibilities based on the findings, receive insights on how to course correct where required and provide relevant services based on real-time feedback. This will go a long way in timely execution of services to citizens. Some roadblocks, and the way out However, the transition to establishing or retrofitting smart cities is paved with several challenges. Chief among them being their need for financial backing. Cities need to invest in guidance from experts who have already overseen such transitions in other parts of the world. Cities need to be become financially sound and improve their credit worthiness. They also need to invest in capacity building of their own teams, not just the top management. With estimates that the first 100 smart cities in India will require an annual investment of Rs. 35,000 crore over the next 20 years, both private investments and public private partnerships (PPP) are essential. Also, any proposed roadmap will hinge on collaboration between the central, state and local authorities, which could prove to be a complex juggling act. These agencies will need to work together to provide clearances in a timely manner, enabled by online processes. However, it is important to remember that India is uniquely positioned to meet these challenges. With among the highest number of technical graduates in the world, India offers a vast pool of educated, young engineers who are equipped to design technology solutions that enable smart cities. This is reflected in the explosive growth of the IT-BPM sector in India, which is expected to hit US$350 billion by 2025, in turn fueling a vibrant startup culture. In fact, India has the third largest startup base in the world with 4750 startups. So not only is talent available, but it is further amplified by the country’s manufacturing capabilities and its ability to scale up at an affordable price. Together, this manpower and IT prowess can ensure that India will show the world how mass-scale, flexible and affordable smart city infrastructure can be created and replicated anywhere across the globe. Indian cities need no longer be silent witnesses as a larger revolution transforms the world. Like the settlements of the Indus Valley Civilization they can emerge as model cities that set standards for modern urban planning. The time is now.